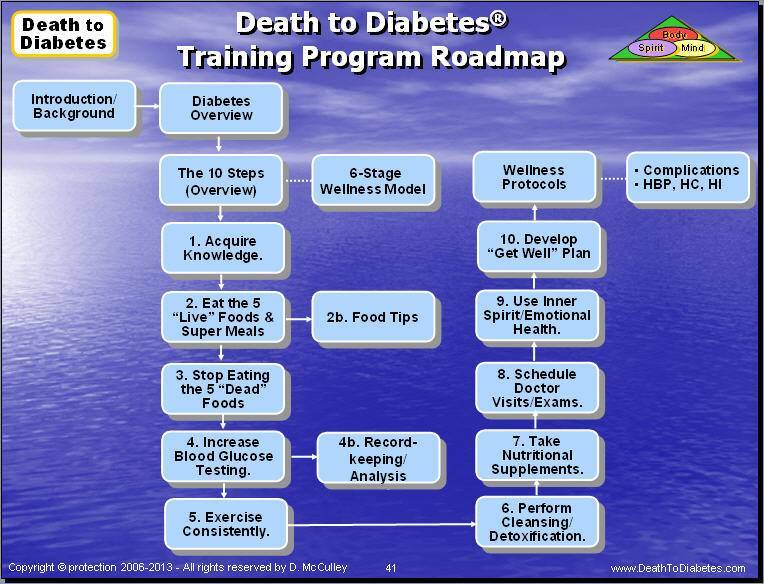 The company Death to Diabetes LLC has developed a leading-edge training program for health coaches and other health care professionals. 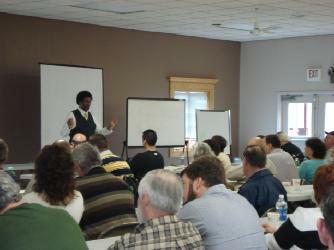 This program is based on the company's well-received corporate wellness program. However, this program has been significantly discounted to make it available to health coaches and other individuals who lack the financial resources of a corporation. 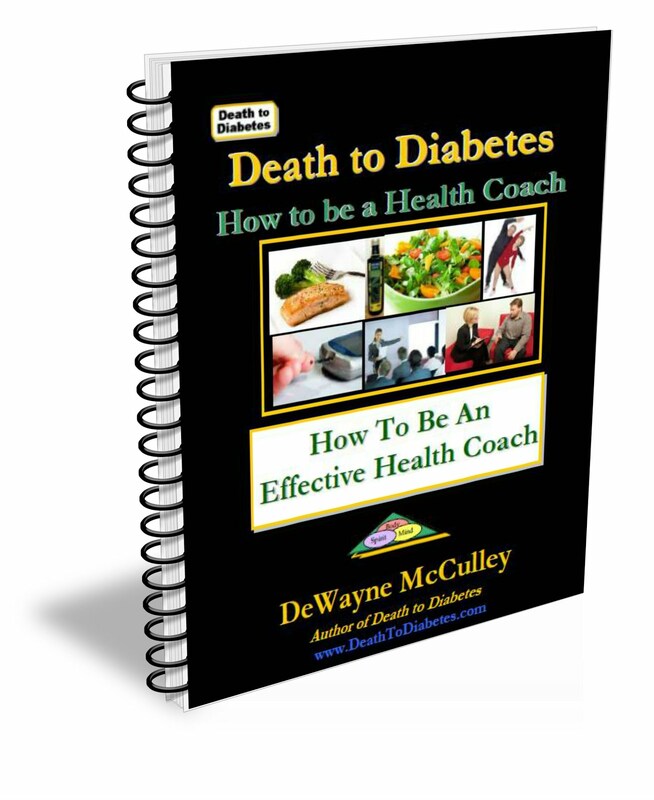 Because of the success of the top-selling book Death to Diabetes, the author (DeWayne McCulley) has been able to help health coaches and other healthcare professionals with his Death to Diabetes® Health Coaching Certification Program and/or his Train-the-Trainer Training Program -- for those who want to grow their business and get paid for lectures, workshops, and for training other professionals. 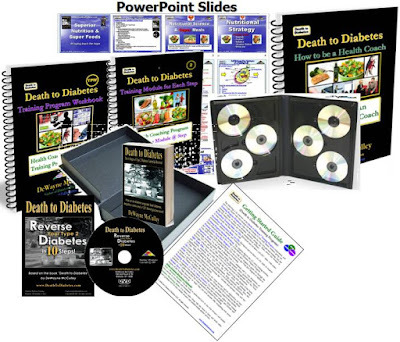 The Death to Diabetes® Health Coaching Certification Program is designed specifically for health coaches and other similar healthcare professionals who want to help their clients via health coaching, with one or more of the following diseases and illnesses: obesity, diabetes, heart disease, high blood pressure, high cholesterol, and chronic fatigue. 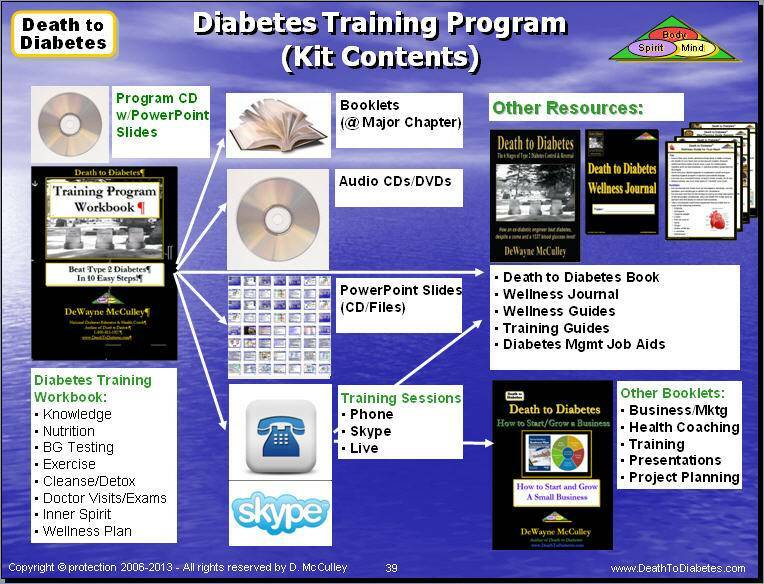 The program consists of 3 boxes of books, booklets, CDs, DVDs, guides and training job aids. In addition, the training includes personal or group online training sessions with the author or one of our training specialists. Please Note: This training program is also available strictly as a set of downloads without the physical boxes at a cost that is at least 50% less than the cost of the physical kit.